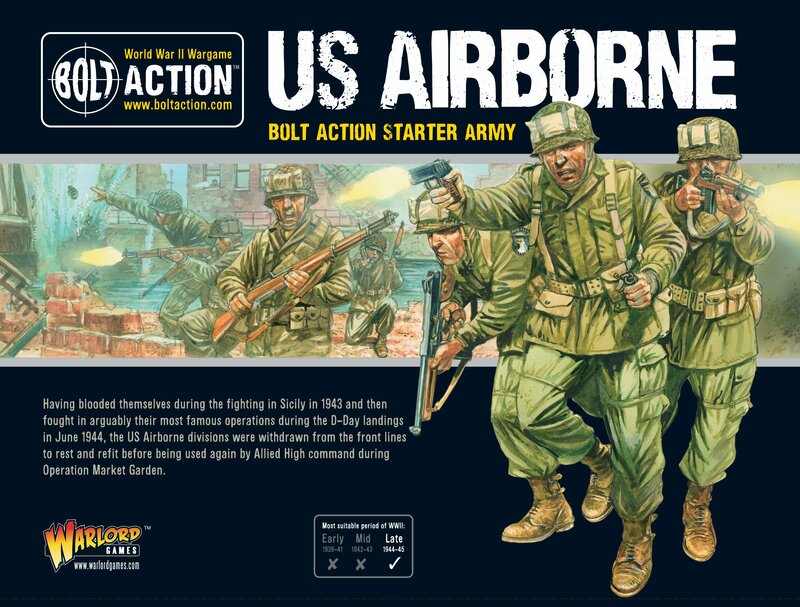 Warlord Games haben zwei neue Starterboxen für Bolt Action in ihrem Shop. From their role in the ill-fated Operation Market Garden to the crossing of the River Rhine and the push into the German homeland these battle-hardened fighting men have been immortalised in film and television. Whether you plan to field them as the 101st ‚Screaming Eagles‘ , 82nd ‚All American‘, 17th ‚Thunder from Heaven‘ or 13th ‚Golden Unicorns‘ Airborne Divisions this starter force is built around a strong core of battle-hardened paratroopers and vital support teams the US Airborne are a match for all but the most heavily equipped opponents. One of the best-equipped armies in the world at the time, the Americans took on, and beat, their German, Italian and Japanese adversaries. 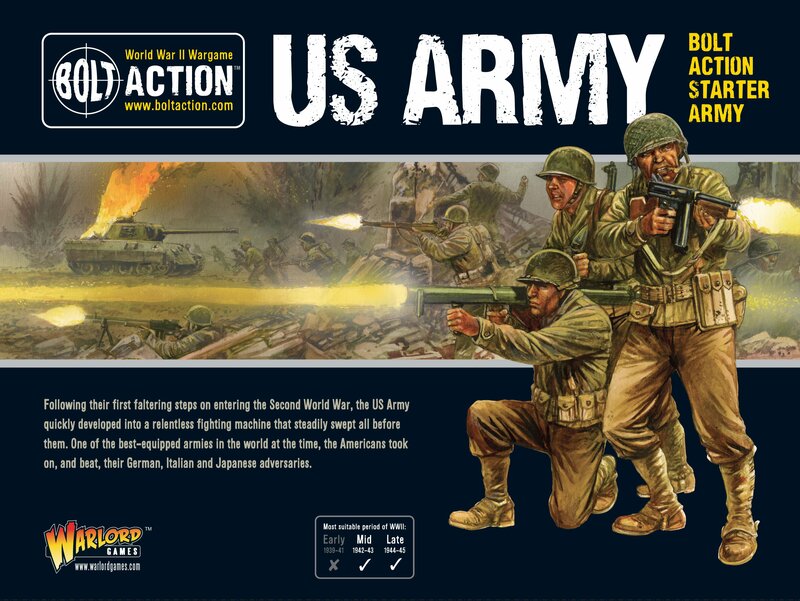 This boxed set contains a great starting point for a force of US Army troops in uniforms ideal for service in the Mediterranean, Italy, or North West Europe between 1941 and 1945. This starter force has all bases covered – firepower, boots on the ground and speed – providing the perfect core for your GI army. Check your weapons and load up with ammo. America has joined the fight against the Axis – send the boys in!